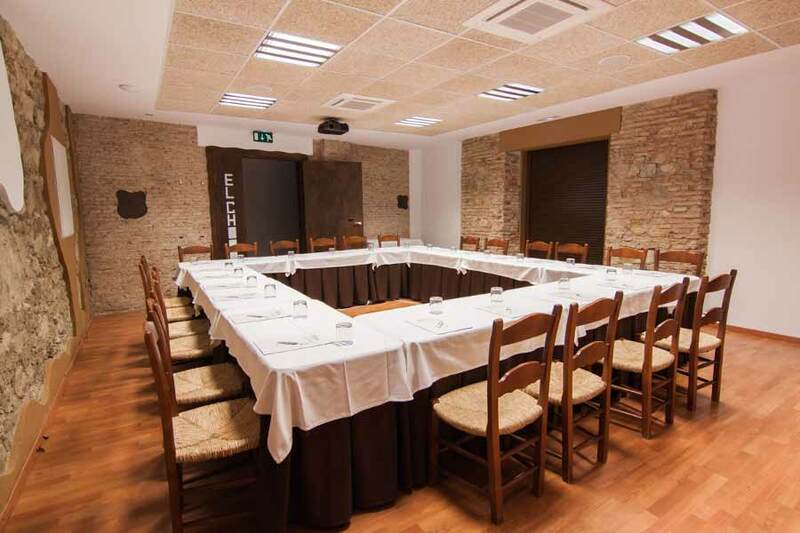 La Garganta offers you the best facilities to hold your business meetings in an unique environment. 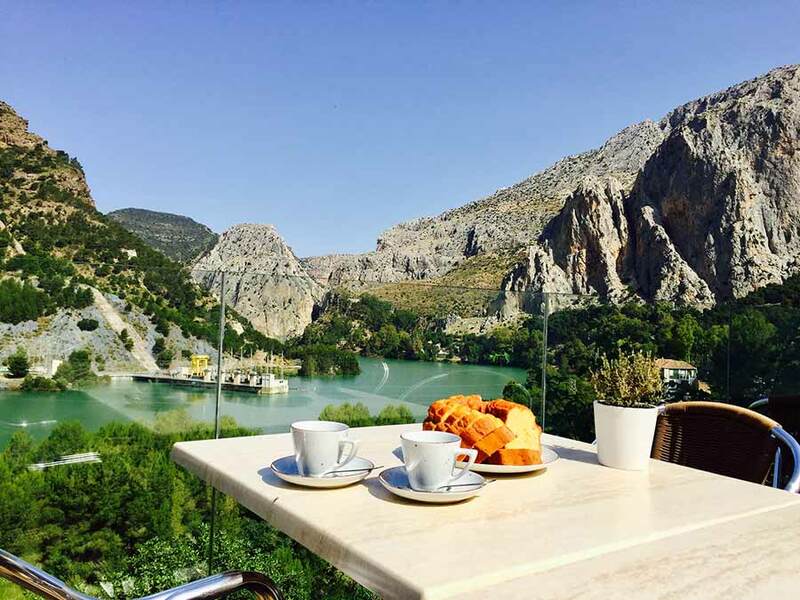 Celebrate with us your business meeting or event in front of the spectacular landscape of Caminito del Rey. 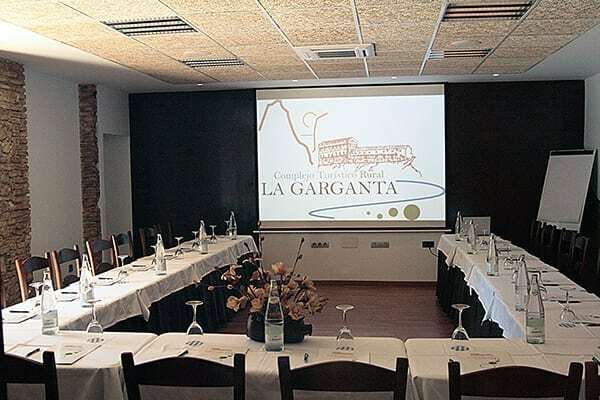 At La Garganta we organise your business meetings in a unique, private and discreet environment, with the appropriate facilities and services to make the most of your corporate activities. To this end, we provide the group with meeting rooms and exclusive, personalised services. Less than 50 km from the Andalucia Technology Park. In addition to the road, you can get there from Malaga by train. We are next to El Chorro – Caminito del Rey train station. We offer meeting rooms equipped with a multimedia projector, a 2.5 metre screen, wireless loudspeaker, blue-ray player, etc. An ideal place to hold conventions and talks, for press conferences, tributes and exhibitions, or as a workplace for business meetings and corporate presentations. U-shaped, with capacity for 26 people. Shaped like classroom, for a maximum of 32 people. Shaped like theatre, up to 50 people. Around an imperial table, with up to 30 people. “Los Silos” meeting room is located on a window where we find the old silos to keep the flour of our flour mill. 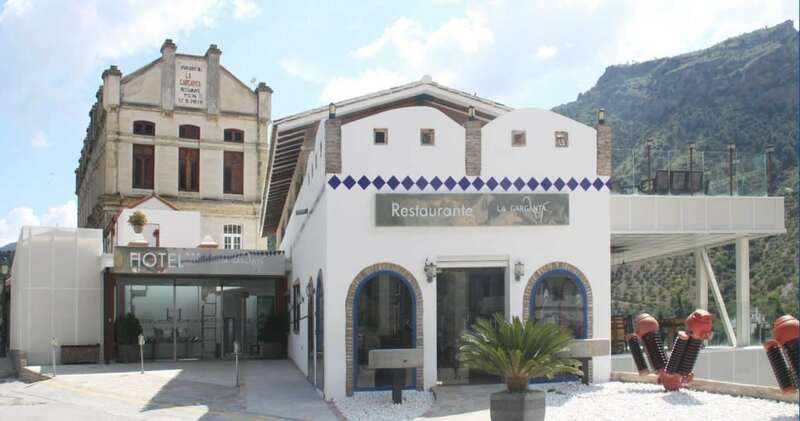 Doing business while enjoying the gastronomy of Malaga, prepared with exquisite local products (Sabor a Málaga). Our restaurant has several lounges and panoramic terraces where you can also enjoy the spectacular views of the surroundings of the Garganta del Chorro and the Tajo de la Encantada. Do you need a discreet atmosphere? We also have reserved areas, which will provide you with the privacy you need. We adapt to your needs. 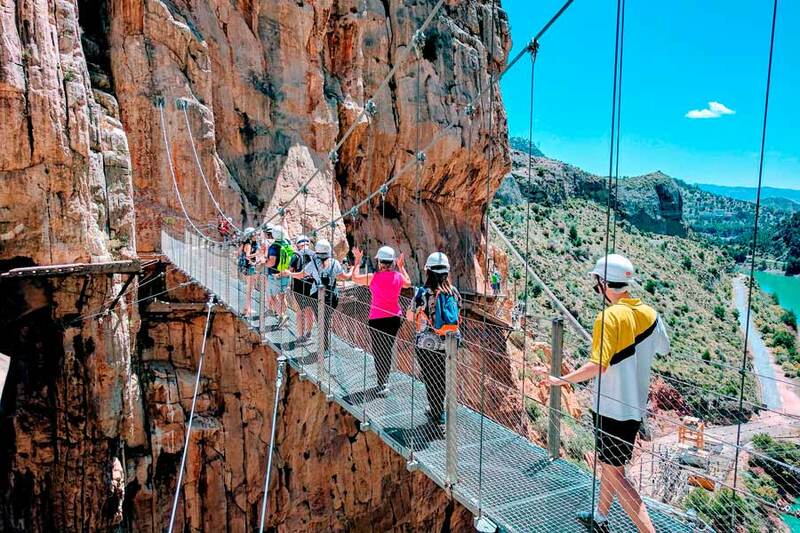 El Chorro is an ideal environment to practice a multitude of activities, a space protected by its great ecological value and its extraordinary wealth of landscape, history and paleontology. Visit to Caminito del Rey. Gran Senda de Málaga tour. 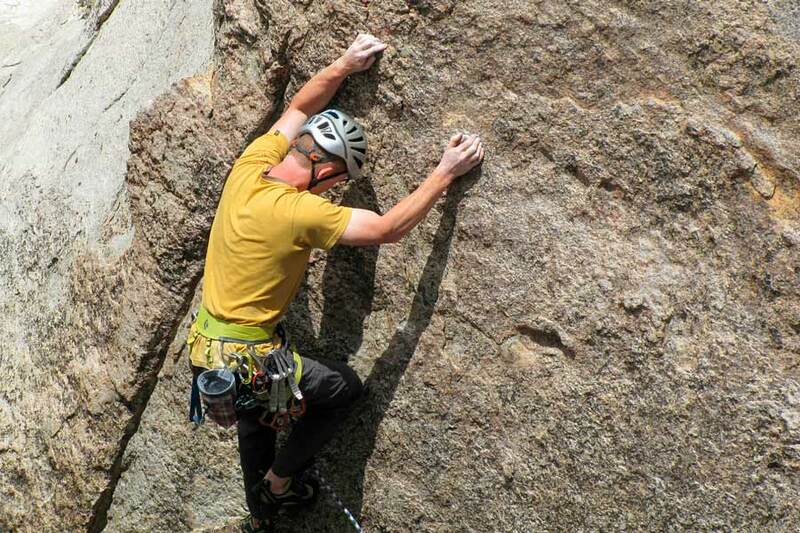 Adrenaline rush in the Via Ferrata. Kayak routes through the swamp. Cultural visits: Enjoy Bobastro Ruins, Torcal de Antequera, and charming villages such as Ardales, Álora or Teba. La Garganta also offers all services to celebrate your business event. We adapt to you, we provide different solutions depending on your needs. For events of more than 1 day we have rooms that will guarantee the necessary rest for the guests. 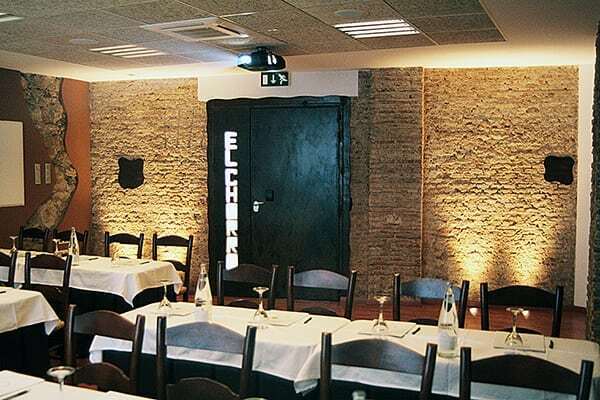 In our modern restaurant of malagueña food you will recover the necessary forces to continue with the activity. We are in the perfect location for a multitude of outdoor activities, active and cultural tourism. Surprise your guests with a business meeting in the heart of a natural environment. 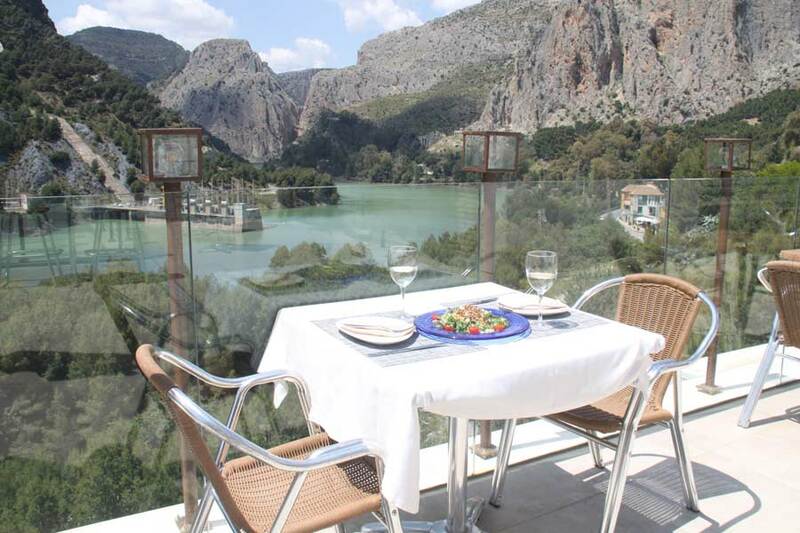 We are located facing of the Caminito del Rey, in the heart of El Chorro natural environment. 50 km from the Málaga city, only 1 hour by car. You can also arrive from Málaga by train. We are next to El Chorro – Caminito del Rey train station. Call us on 952 49 50 00 and tell us the needs of your event. If you prefer you can easily send us your message by sending us a Whatsapp. Fill out a form specifying the needs and the date of the event. What would you like the event to be like?